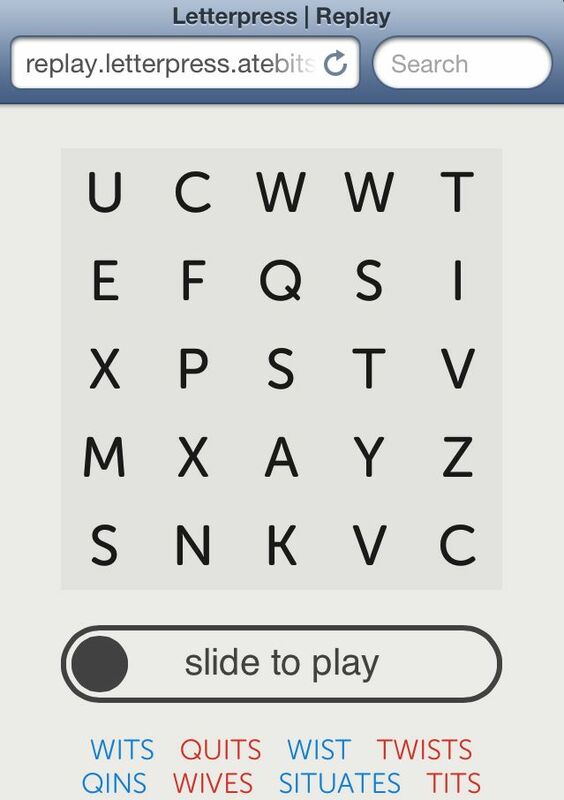 Loren Brichter’s Game Center success story, Letterpress, has been updated today in the App Store with a couple of new features and improvements. Version 1.2 of the popular, Scrabble-like word game introduces a new HTML5-based feature called “Share Replays.” You can now share a link from the iOS game that shows a word-by-word progression of how a match progressed. The last update to Letterpress brought the ability to quickly demand a rematch, and now you can see a history of your skills as a wordsmith with Replays. The game’s dictionary has also been tweaked and improved. – CHRISTMAS is a proper noun. It’s not allowed. Bah humbug. – Loads of little tweaks. – Handle orientation changes on iPad better. – Clarified the “prefix” rule in the How To Play. Apparently the word “prefix” means something different to programmers and grammar geeks! The rule is actually really simple; it has nothing to do with roots, stems, definitions, moon cycles, or latin derivations. It’s boils down to: no words found at the beginning of a previously played word. Easy. – People read these. Neat. If I were smart I’d monetize all over your eyeballs. Letterpress is available for free in the App Store and runs nicely on the iPhone and iPad. A small in-app purchase unlocks the ability to play multiple matches at once.